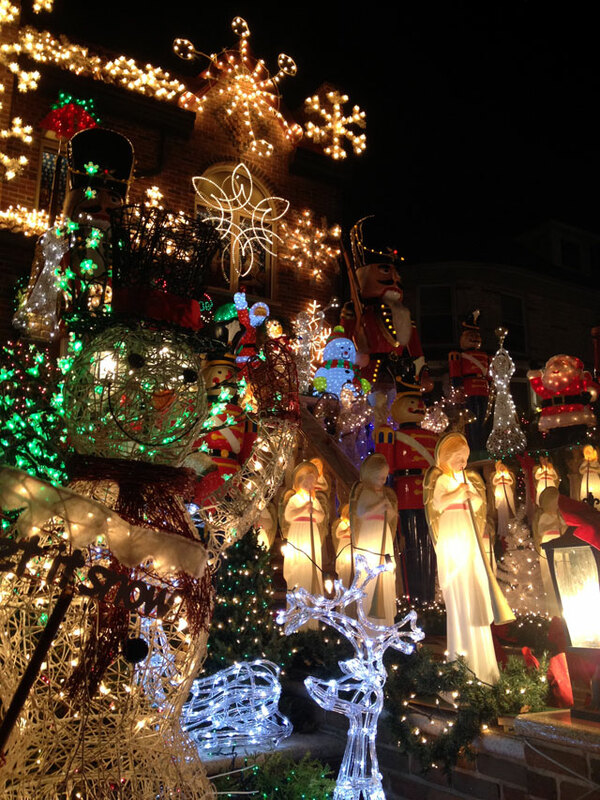 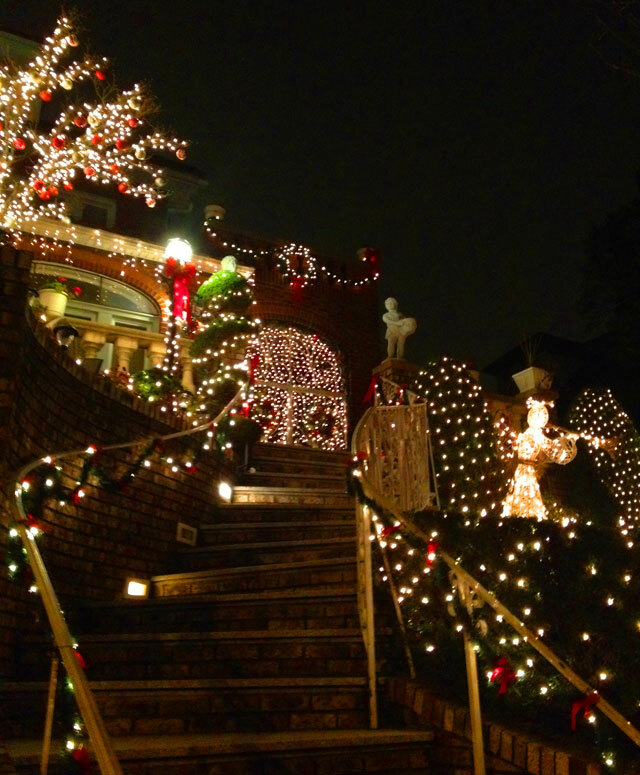 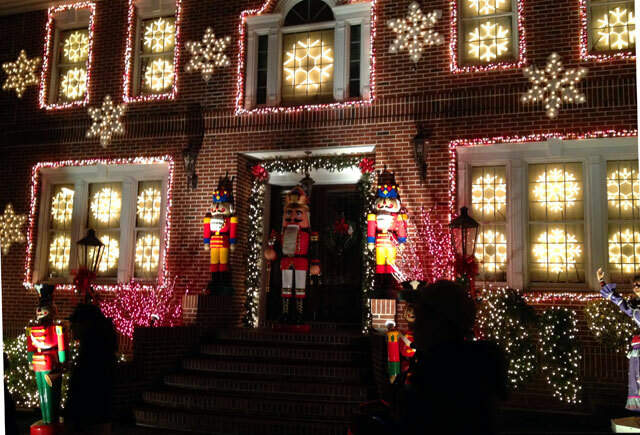 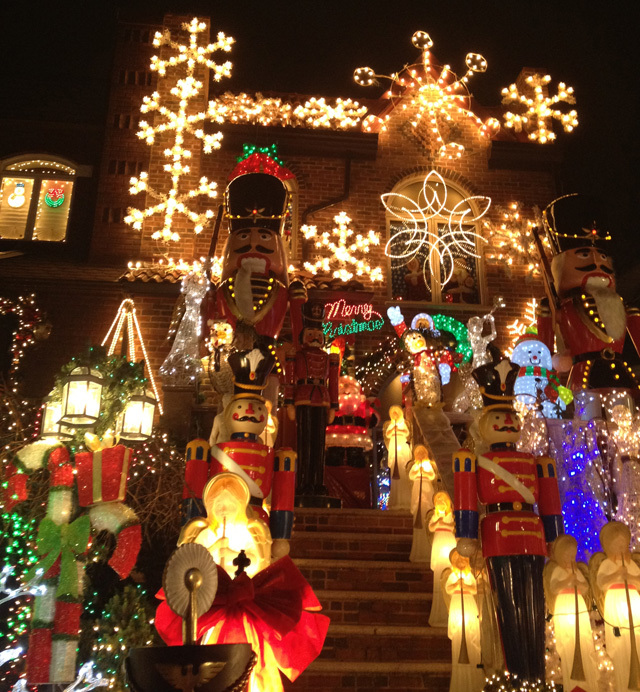 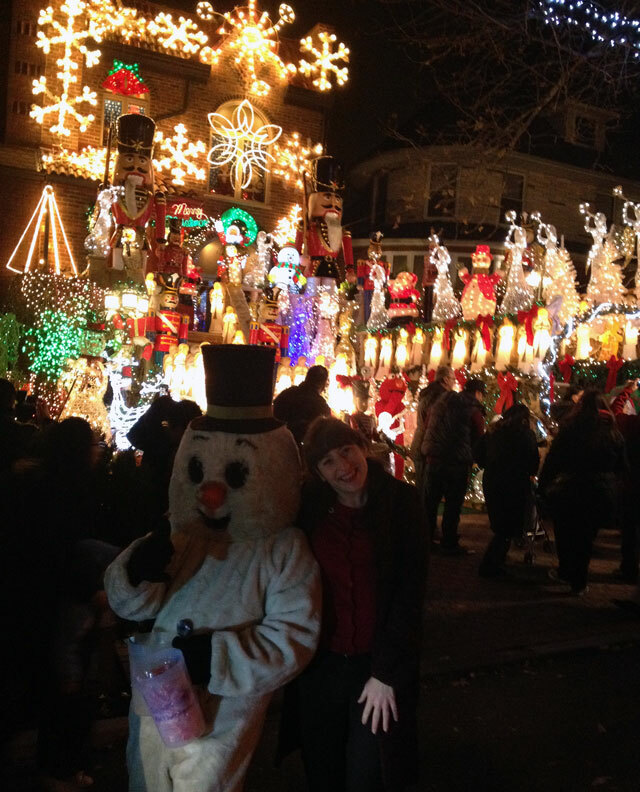 The Italian-American neighborhood of Dyker Heights is famously known for its elaborate Christmas light displays. 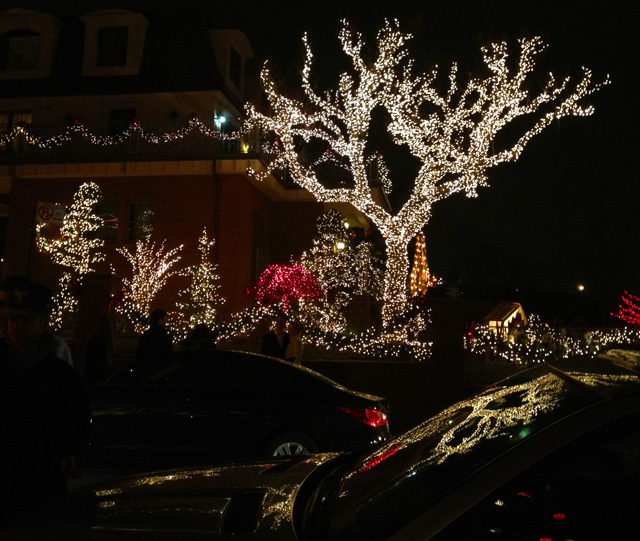 I’ve never been, and I LOVE the Christmas season, so for me this was a no-brainer: I dragged my husband (and rent-a-husband / bro-in-law) with me after the Walsh Christmas party last Saturday. 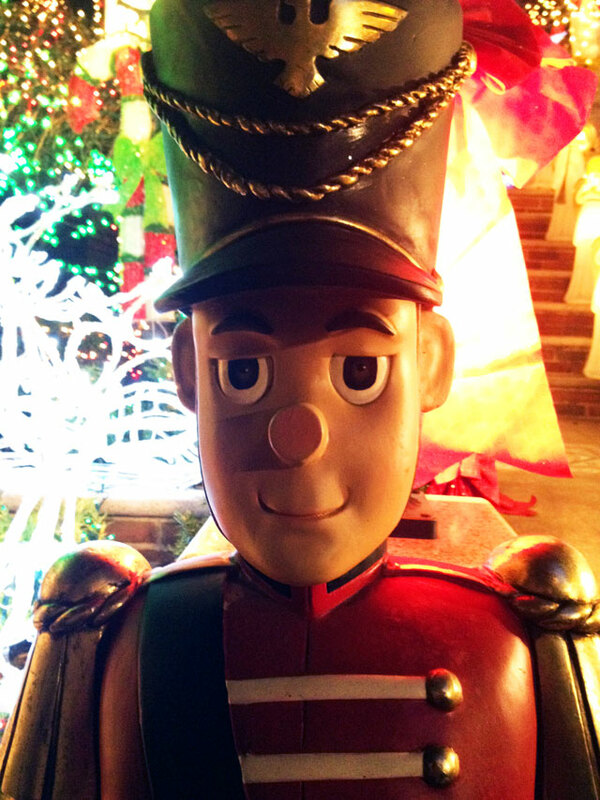 “It’s on the way,” I said, with my eyes glazed over with Christmas “cheer”.